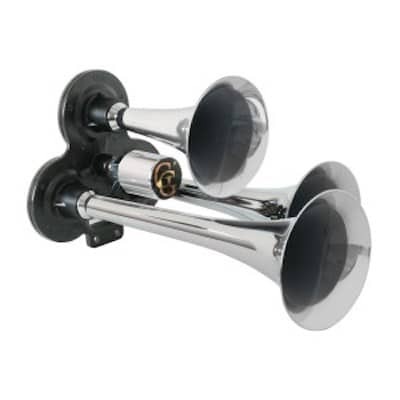 Your favorite three chime train horn now available in black! The perfect train horn solution when working on a budget. 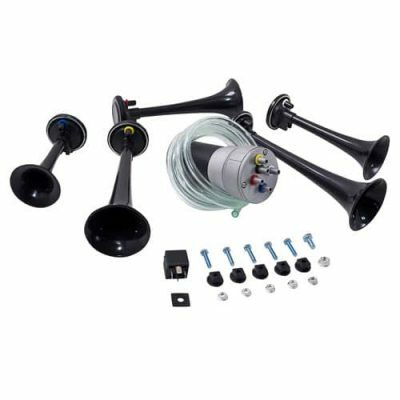 Features longer bells that measure up to 8 1/2″ long, and wider flares for an authentic train horn sound. These horns are the same size as the ones used on locomotives today. 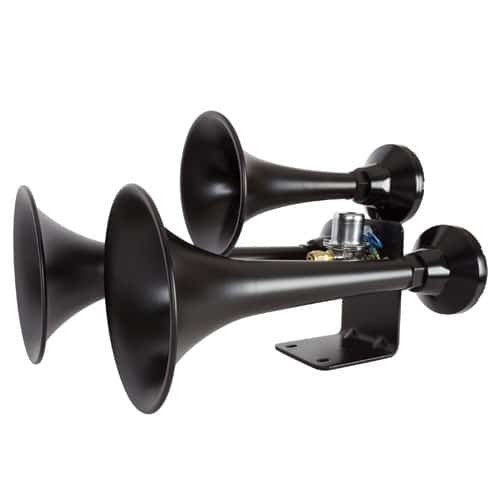 This horn is rated at 142db and comes with all mounting hardware necessary. 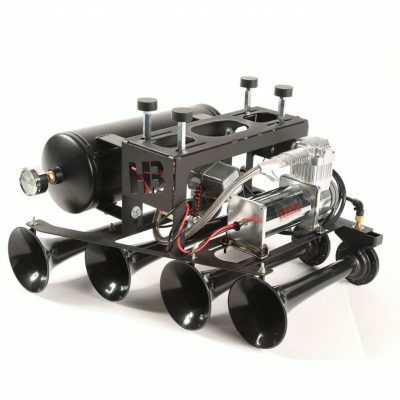 Kit includes: tri tone train horn, 12V electric valve, 6 ft. air line, mounting hardware, and installation diagram. 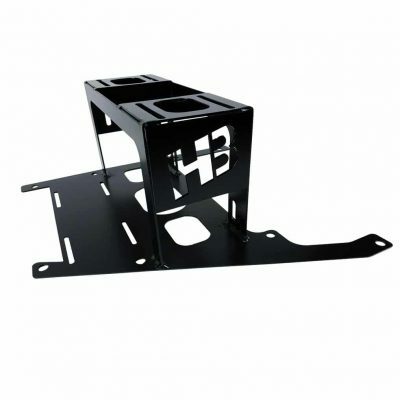 18 1/2″L x 15 1/2″W x 12 1/2″H. 15 lbs. Sold by each. Note: Use product in a safe and responsible manner. Consumer’s responsibility to comply with local noise ordinances and DOT sound level laws.